We are in Memphis, Tennessee and your announcers are Corey Graves, Michael Cole, and Renee Young. A limo arrives at the arena and Vince McMahon emerges. Vince tells the driver that there is a smudge and he gets him to clean it. Vince walks through the back. Braun says that Brock Lesnar has always been afraid of him. When he had the contract, Brock was always looking over his shoulder. When he was about to get his hands on Brock at World Cup, he had Baron Corbin attack him. Braun says he hopes the Beastie Boy is watching this from his training camp because he is fully healed. Baron Corbin is not in charge so there is no one to do your dirty business. Braun says at Chase Field he will get the Universal Championship and all you will get is these hands. Baron Corbin comes out and he says he may not run Raw anymore, but he will stay up here all night. If he stands up here for more than five minutes, he will have lasted longer than Brock. You keep letting the people down. You cannot beat Brock Lesnar. Baron says he will focus on winning the Royal Rumble and going somewhere Braun will never go, the main event of Wrestlemania. Braun chases Baron to the back. Braun asks the Singhs where did Baron go and Sunil gets thrown over a table. Braun sees the limo and then he goes down a different hallway to try to find Baron. Elias is in the back and he sings. He says Baron Corbin ran his mouth and it is no surprise. He saw where Baron went, with his own two eyes. We pan back and Braun hears Elias singing and Elias says that Baron is hiding in the limo. Braun kicks the limo’s mirror and then he throws the driver out of the limo. Braun gets a lead pipe and he breaks the window. Braun rips the door off the limo and then Baron goes out the other side of the limo. Braun tells Baron he better run. Braun stops and Vince McMahon is in shock at what happened to his limo. We are back and Braun is trying to put the door back on the limo, but it does not stay on the hinges. Vince calls Braun a raging wooly mammoth. Vince asks Braun to look at what he has done to his car. Vince says that will cost you $100,000. Braun says that piece of crap isn’t worth $100,000. 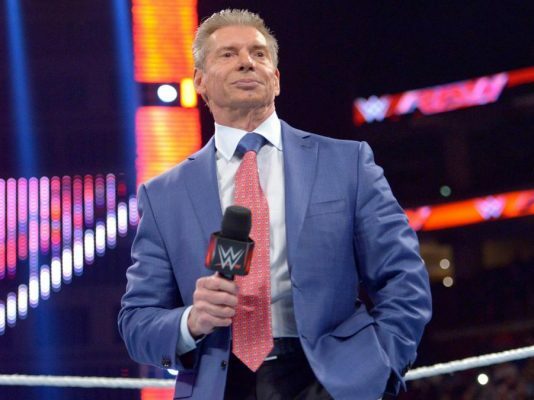 Vince says if you want to raise your voice, you lost your match against Brock Lesnar at the Royal Rumble. Braun snarls and he lifts up the limo and flips it. Corey wonders who will face Brock Lesnar for the Universal Title at the Royal Rumble. Braun Strowman is being escorted out of the building by security and we see Baron Corbin chucking. After the match, Ronda and Sasha are asked about being partners when they face each other at the Royal Rumble. Ronda says they respect each other. She says that a victory over Sasha will be her greatest accomplishment. Sasha does not appreciate Ronda’s comments, but Ronda says she will do everything possible to tap Sasha out at the Royal Rumble. Sasha says that Ronda thinks she is the only person who can make people tap out. You can ask Nia about last week or Tamina about tonight. She says it will be a pleasure to show Ronda how to lose with class. Ronda says you can teach by example. You can keep the title of World’s Classiest Loser because she doesn’t want it. Sasha reminds Ronda who she called out. Sasha says she is not afraid of Ronda. Sasha says the only loser at the Royal Rumble will be you and she will make Ronda tap out and she will take back her title. Sasha goes up the ramp and Ronda follows and wants to talk to her. Many people are standing outside Vince McMahon’s office door and Jerry Lawler emerges. No Way Jose and his conga line goes by as we go to commercial. We are back and Bayley and Natalya are playing peacekeepers for Ronda and Sasha. Natalya says that Sasha has to control her emotions. Bayley says that Ronda was stirring the pot. Natalya and Bayley are arguing and the Riott Squad show up and mention they are together. Liv says that Sasha left Bayley to fight for the title. Ruby says if you can find a friend, you can face them tonight. Natalya accepts the match. Scott Dawson says that you three watched them get screwed last week. His left foot was under the ropes and you saw it. Dash says instead of doing what you do to get the referee’s attention, you turned your back on the Revival. There is a heavy price you have to pay and it is time to pay up. Meanwhile, back in the ring, Wilder keeps Kalisto from making the tag but Kalisto gets away and hits a springboard cross body and bulldog. Metalika with a head scissors and Dawson tags in. Metalik with a drop kick to Dawson but he misses one on Wilder. Kalisto catches Metalik on a double suplex. Kalisto with a Listo kick to Wilder. Dawson with a clothesline to Kalisto. Metalik with a sunset flip for a near fall. Dawson with a DDT and Wilder pushes Metalik’s foot off the ropes to get the three count. Dasha Fuentes awaits Vince McMahon outside his office and he asks if he is going to give her the scoop about who is going to face Brock Lesnar. He says he will go to the ring. John Cena interrupts Vince before he can speak. John says he knows what Vince wants to say. You just lost a Universal Title Match on the biggest show on the Road to Wrestlemania. John says Vince is going to tell someone to step up. When everyone left this guy high and dry 20 years ago. Steve Austin, The Rock, and Brock Lesnar . . . see you Vince. You didn’t know what to do. You looked at a crew of misfits and reject and told them to step up. John said to Vince, you give me a chance and I won’t let you down. You gave me more chances. He missed birthdays, weddings, and funerals for this. Stepping up is making this your life and loving every minute of it. John asks Vince for a chance and he will not let Vince down. The Royal Rumble will be unforgettable. He will walk into the Royal Rumble, beat Brock Lesnar and become the 17 Time WWE Champion. John says he has what no other WWE Superstar has . . . RUTHLESS AGGRESSION. Drew McIntyre says no and comes out. Drew tells John how dare you. Drew says he does not care if you talk about your 16 championships or your new movies or whatever book you are writing. How dare you stand there in this ring with a straight face and claim that you still have Ruthless Aggression. Drew tells Vince this is what Ruthless Aggression looks like. Drew tells John his time is up and his time is now. Just like Stone Cold, the Rock, and Lesnar, you can leave. Baron Corbin comes out and he says earlier tonight, his life was threatened by Braun Strowman. He is not the type of person who had a lawyer on speed dial, but if he was, they can both agree what is best for business is give him a Universal Championship match against Brock. Finn Balor comes out and he says he has to be honest. He is a little tired of being left out of these conversations. You three can make claims to a lot of things, but Finn is the only one who has ever been Universal Champion. Vince says maybe one day you will again, but there is a lot of beef in there. Vince says you’ve got it all, but against Brock Lesnar and all of this beef . . . you are a great competitor, but I don’t know. Finn says you never believed in him, but the people do. Finn says that he knows that Vince is stubborn and nothing he says will change his mind. Why doesn’t he show him. Balor punches Corbin while Drew punches Cena. Drew with a Claymore to Balor and then he hits Cena with a Claymore. Vince says he likes this. Let’s find out who is going to face Brock Lesnar. How about doing it tonight in a Fatal Four Way Match. We are back and Vince McMahon is walking in the back and Jinder Mahal stops him. Jinder praises Vince on his suit and he says he is a little offended he did not get considered for the Number One Contender Match. He is a former WWE Champion, he was in the finals of the Mixed Match Challenge, and his match with Brock last year was curtailed. He says he would have been out there but he was caring for Sunil. Vince tells Jinder he can pick any of the four in the match and he can get their spot in the Royal Rumble if he can beat him. Jinder picks Balor. 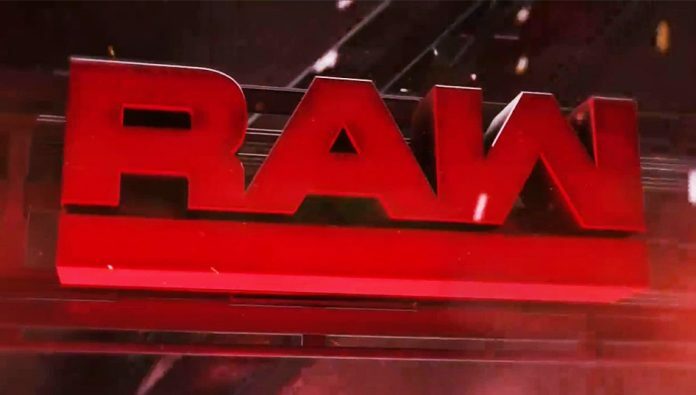 Michael Cole mentions that before the six new faces choose a brand, they will appear on both shows. Bayley and Logan start things off and Nikki looks like she wants to tag in but she shakes the ropes Warrior style. Nikki is tagged in and she applies a sleeper but Sarah with a snap mare. Nikki with a drop kick and Liv tags in. Nikki blocks a forearm and sends Liv to the mat. All six get in the ring and Nikki tells Bayley and Natalya to stand back. Nikki goes after Ruby and then they fight to the floor. Nikki is sent into the apron and Bayley and Natalya with baseball slides. Nikki goes under the ring and pulls Ruby into the ring skirt and connects with forearms as we go to commercial. We are back and Logan slaps Bayley in the head. Bayley with a cross body for a near fall. Logan sends Bayley to the mat and hits a knee drop to the back. Bayley goes to the floor and Logan kicks Bayley. Bayley with a rollup for a near fall. Liv tags in and Logan sends Bayley into Liv’s knee and Liv with a bulldog for a near fall. Liv chokes Bayley in the ropes and Ruby with a kick from the apron. Liv gets a near fall. Liv pulls Bayley into her corner and tags in Logan. Sarah kicks Bayley in the midsection and then applies a Cobra Clutch. Logan with an Irish whip and she kicks Bayley. Logan with another Irish whip and she is hot shot into the turnbuckles. Bayley tags in Natalya and Natalya with a drop kick and German suplex. Natalya with a discus clothesline and a wheelbarrow gourdbuster for a near fall. Ruby breaks up the cover and Bayley with a knee to Ruby. Liv tags in and she hits a head scissors on Natalya but Nikki breaks up the cover. Liv misses a punch and Nikki screams and scares Liv. Natalya goes for the Sharpshooter but Liv kicks her away and Nikki tags in and they hit a Hart Attack and she punches Liv. Nikki with a kick to Sarah and then a bulldog on Ruby. Nikki with a monkey flip to Logan and Natalya hits a drop kick. Nikki goes to the apron and hits a cross body onto Ruby. Liv sends Nikki into the ring and Nikki blocks a kick. Liv with a matrix and rollup for a near fall. Bayley tags in and Nikki hits the hanging swinging neck breaker. Bayley with an elbow drop for the three count. Dean Ambrose is in the back and he talks about right versus wrong. Right is him all the time about everything. Wrong is defending the title in a Triple Threat Match. Wrong is Seth Rollins weaseling into the match. Wrong is Bobby Lashley weaseling into the match. Wrong is defending the title in Memphis. It does not matter what the odds are, he is not losing the title tonight. Mahal attacks before the bell when Samir distracts Balor. Mahal Irish whips Balor into the ringside barrier. Mahal sends Balor into the apron and then back into the ring. The referee checks on Balor to see if he can go. Lio Rush says in order to step up, you have to suffer. That is something they have learned over the last few weeks. Now it is time for Seth Rollins and Dean Ambrose to find out. Bobby Lashley is a fighter and he will become the Intercontinental Champion whether you like it or not. You better come correct or don’t come at all. Seth Rollins is in the back and he is asked if this is his last chance to win the Intercontinental Championship. He does not know but he will make the most of this opportunity if it is. He will make the most of this by kicking the teeth down Dean Ambrose’s throat. They were united when Roman Reigns announced that he was sick but a few hours ago, Dean Ambrose betrayed him and killed six years of friendship. Bobby Lashley is impressive and intimidating. Physiques will only get you so far. It only matter what you do bell to bell and no one can do what Seth Rollins can do bell to bell. He is going to do what he always does. He will lay it all on the line and win back his Intercontinental Championship. Dean suggests to Seth that they work together against Bobby. Seth thinks about it and Seth sends Dean to the floor. Rollins goes for a drop kick and Lashley avoids it. Lashley goes to the floor and Rollins with a plancha. Rollins with a shoulder from the apron and he goes up top and hits a cross body for a near fall. Ambrose hits Rollins from behind and punches him. Lashley pulls Ambrose out of the way and punches Rollins. Dean figures if Seth won’t work with him, join forces with Bobby. Lashley sends Rollins into the turnbuckles and Dean with a punch. Lashley with a suplex for a near fall. Ambrose holds Rollins for Lashley and Bobby punches Seth in the midsection. Lashley holds Rollins and Ambrose with a boot to the midsection. Ambrose chokes Rollins in the ropes and Lashley with a forearm. Ambrose with a running forearm into the corner. Lashley sends Rollins into the corner and hits a running shoulder to the midsection. Lashley misses a splash when Rollins moves and Seth with punches to both. Lashley with a choke slam and Ambrose sends Lashley to the floor. Rollins with a rollup for a near fall. Rollins clotheslines Dean to the floor and then hits a suicide dive. Rollins blocks a kick from Rush and Rush is flipped to his feet. Rush goes to the apron and flips to the floor. Rollins chases Rush around the ring and Lashley with a spinebuster. Ambrose is caught off the apron and Lashley hits an overhead belly-to-belly suplex on the floor and we go to commercial. We are back and Lashley with a reverse chin lock on Rollins. Lashley runs into a boot from Rollins and Ambrose with a flying clothesline. Rollins with a kick to the back and then Dean with a sliding clothesline and Rollins with a splash. Dean and Seth kick Lashley. Rollins and Dean clothesline Lashley over the top rope to the floor. Ambrose and Rollins take the ring steps and they hit Lashley with it. Seth wants Dean to get back into the ring and he obliges and they exchange punches. Rollins and Dean exchange chops. Dean with a knee but Rollins with a rolling elbow and he goes for a power bomb but Dean with a back body drop and Seth with a sunset flip for a near fall. Dean goes for a suplex but Seth counters into a Falcon Arrow and Lio breaks up the cover. Lio stands in the ring because any normal person would have been out of the arena. Lio goes to the floor and Rollins chases after him. Rollins grabs Rush and Dean hits Rush. Dean gets a near fall on Rollins. Lashley sends Rollins to the floor and gets a near fall on Ambrose. Lashley runs into a boot and Dean with a poke to the eye. Rollins with a springboard clothesline to Ambrose followed by an enzuigiri to Lashley. Rollins goes up top and hits a frog splash but Ambrose sends Rollins to the floor and Ambrose gets a near fall. Ambrose goes up top and Rollins goes for a superplex but Lashley comes under and gets Rollins on his shoulders. Ambrose with a Doomsday Device and Rollins with a super kick. Rush pulls down the ropes and Seth goes over the top rope to the floor. Lashley with a spear for the three count. We go to Alexa Bliss’ dressing room and there is knock on the door because her assistant got her latte. He opens the door and he sees Alexa getting dressed. He apologizes and puts down her latte. We are back and it is time for A Moment of Bliss and Alexa Bliss comes out. Alexa mentions the WWE Women’s Tag Titles but he never mentioned when they were going to come. Alexa says in five week, 3 teams from Raw and 3 teams from Smackdown will compete in the Elimination Chamber. The team that survives will become the Women’s Tag Team Champions. Alexa unveils the belts. Alexa says they make history on this show. She brings out her guest, Paul Heyman. Paul says he is very welcomeable and he says this is your moment of bliss because you get to interview the advocate for the Universal Champion Brock Lesnar. Alexa says she was going to ask him about the match between Brock Lesnar and Braun Strowman but that has changed. She asks what is going through Paul’s head. Paul says the strategy guarantees that your winner will still be Brock Lesnar at the Royal Rumble. You can line up all four of them and he will beat them individually or en masse. Why wipe out the whole division so there can only be one. Who will it be? Will it be John Cena? Paul reminds the John Cena fans but the foundation of Suplex City was built upon the Pontiff of Hustle, Loyalty, and Respect. Will it be Drew McIntyre? Paul says he would be a liar . . . not that he ever told a lie before . . . if he didn’t admit he had his eye on Drew McIntyre. We should all have our eyes on Drew McIntyre. That man is guaranteed to be Universal Champion some day . . . just not now. Then we have to wonder if it will be Baron Corbin. Paul says Baron is not the most popular guy in the WWE Universe, but he is the kinda sorta proactive never will be General Manager. Otis Dozovic shows up behind Paul and Alexa. Paul asks if he can help Otis. Otis says something that resembles words. Tucker Knight comes out to stop Otis as he says ‘pretty lady’ many times. We awkwardly go to commercial. Corbin goes after Balor and connects with knees while Drew and Cena go to the floor. Balor with a kick from the apron and he goes up top. Baron grabs Balor by the throat and hits a chokebreaker for a near fall. After the match, John Cena says you fight to get respect. John says that Vince McMahon told the world he did not believe in you but the people believe in you. John says you have another person who believes in you.